The Igedo Company was established in Düsseldorf in 1949 and as a trade fair organiser made a material contribution to developing Germany into a fashion location. Since 2017 the company has been 100% family owned again. 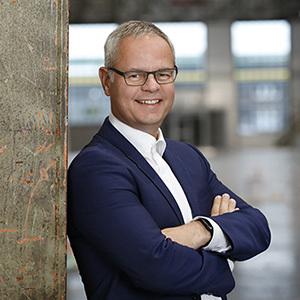 Fashion Today asked Philipp Kronen, Managing Partner of the Igedo Company GmbH & Co. KG, about the strategic re-orientation and plans for the future. FT: Mr Kronen, last year the Igedo Company initiated a strategic re-orientation. After buying back the shares from the partner Messe Düsseldorf the company is now wholly family-owned again. What does this mean to you personally? You sold the brand rights of CPM to Messe Düsseldorf Moscow in September 2017. Will you and your team continue to act in an advisory capacity? In a few weeks’ time the CPD, and therefore the Gallery, will begin. You have created a strong platform for womenswear and with Gallery Shoes you have followed on from GDS. Will a counterpart for menswear, a new HMC, complement the portfolio any time soon or do you see no demand for this? The Initiative Fashion Net has set itself the goal of strengthening the location of Düsseldorf. How do you see the synergies? Digitalisation is probably one of the most “sustainable” topics of our age. Industry 4.0 is a phrase on everyone’s lips – a challenge also facing the exhibitions industry. How do you tackle this development?